Last week was our son’s third birthday party. He requested it be Lorax themed, which is fitting because his birthday is on Earth Day. Although I consider myself of the crafty variety, birthdays are overwhelming to me and going all out is too exhausting. So I choose activities and decorations with minimal prep work. One of the save-the-trees crafts I put together was a miniature greenhouse where the kids could plant a seed, create the greenhouse, take it home and watch it grow. It was a hit among two partygoers and that’s a success in my book for a 3-year-old birthday. 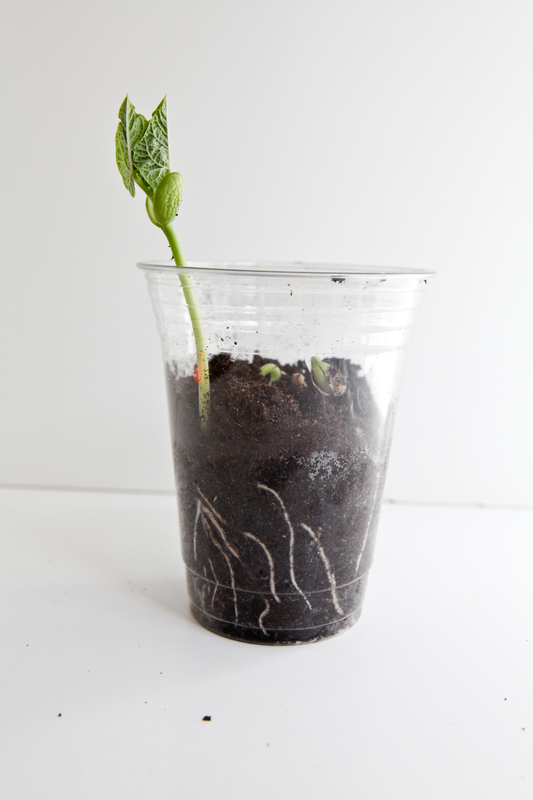 Fill a plastic cup halfway with potting soil. Wet the soil so it’s moist, but not sopping. With a knife, poke three holes in the bottom of another cup. Set aside. 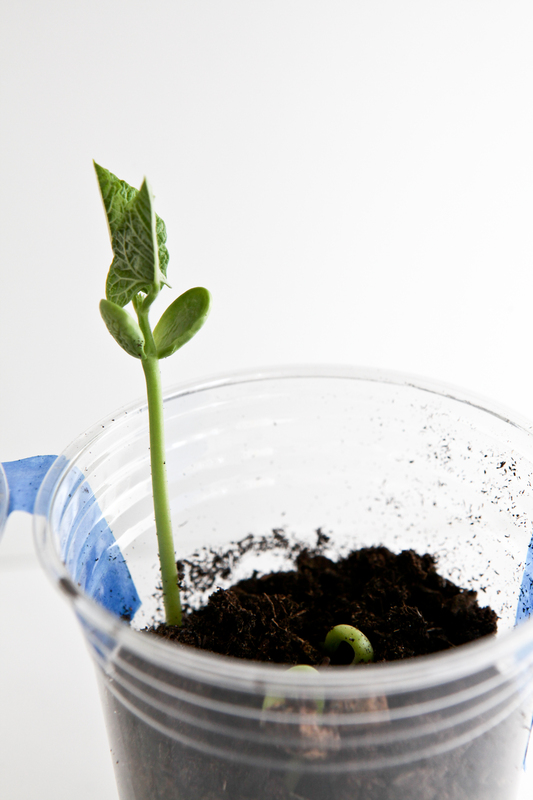 Let your little one plant two or three beans in the soil. There’s no wrong way to do it. Jack barely put them beneath the soil and they still sprouted. Place the other cup on top and affix a few pieces of painter’s tape to hold the cups in place. Set in a sunny window. No need to water it. 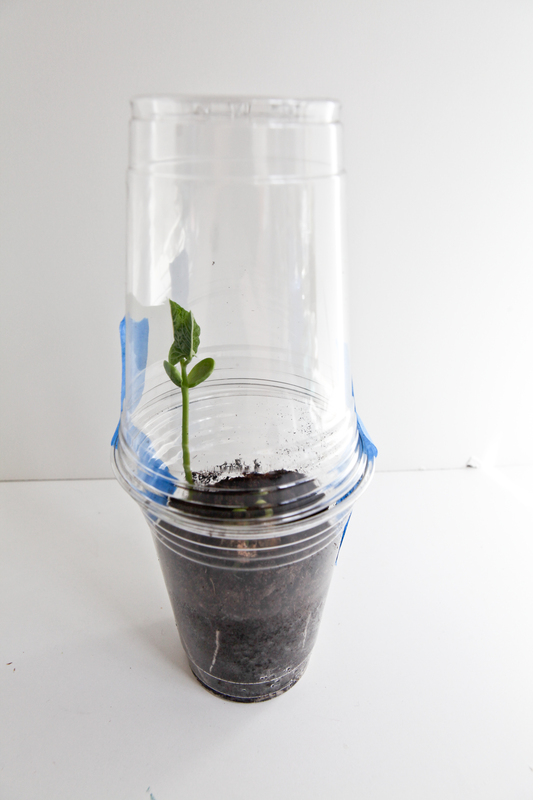 About three or four days later your beans should sprout. You can transfer your sprout to a small pot if you like. Be sure there is a drainage hole.